Drive.ai is looking to bring its self-driving ride-sharing service to Frisco, Texas this summer. The test run will allow for Drive.ai to see how the service handles city traffic without throwing the service into the deep end of a Texas city such as Houston, Dallas, or San Antonio. Rides will be offered to some 10,000 people in its Level 4 self-driving cars. Drive.ai’s test run will take place in a specific area of Frisco where riders will have access to everything you would find in a downtown area: restaurants, shops, theaters, and offices. Frisco will work in tandem with Drive.ai to inform the public of the test run. It is expected that reaction from the public will go a long way toward shaping how the service works in the city as far as specific stops and what can and can’t be done. While self-driving cars have run into some trouble elsewhere during tests in Arizona, it seems as though Drive.ai is taking a more measured approach to getting its vehicles on the streets in Texas. Along with the city’s management, Drive.ai is also working with Frisco Station Partners, the Denton County Transportation Authority, and HALL Group. 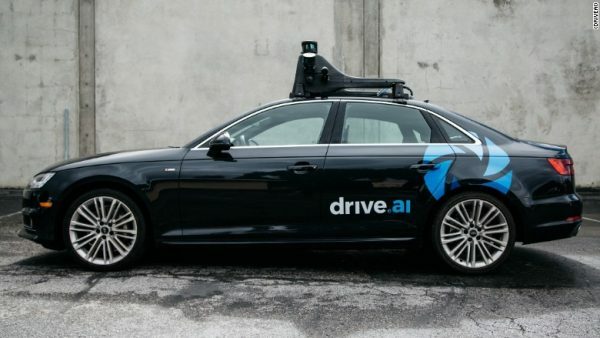 Drive.ai’s self-driving ride-share project will arrive in Frisco in July.